August arrives (can you freakin' believe it?) and I'm declaring it a month for heartful Art: August heArt! 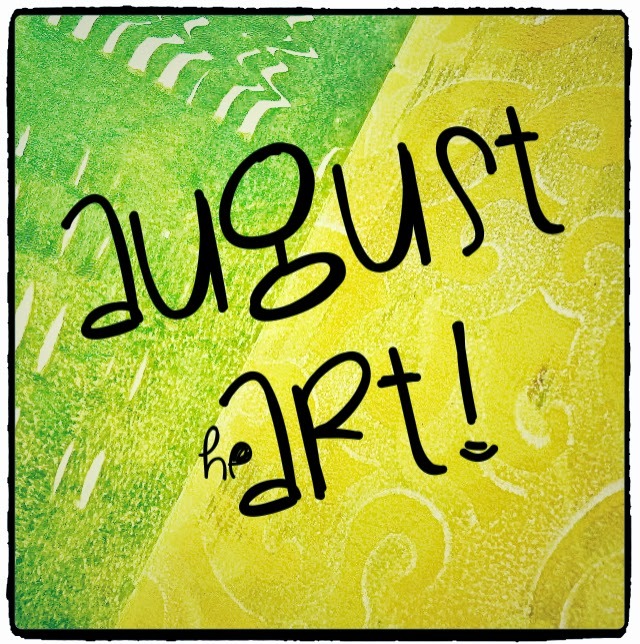 August heART is a month-long artful, heARTful blog party celebrating the heat of creative passion in the heat of August (in my little corner of the word, that is)! So I invite you visit here every/any day in August to share a post to your creative expressions with us throughout the month of August! I'll be posting daily (crazy, eh?). It might be a quick sketch or doodle, a painting or art journal entry, a collage or mixed media piece, or even a work in progress! Whatever heART you create in August, I hope you'll stop by here to share it with us! 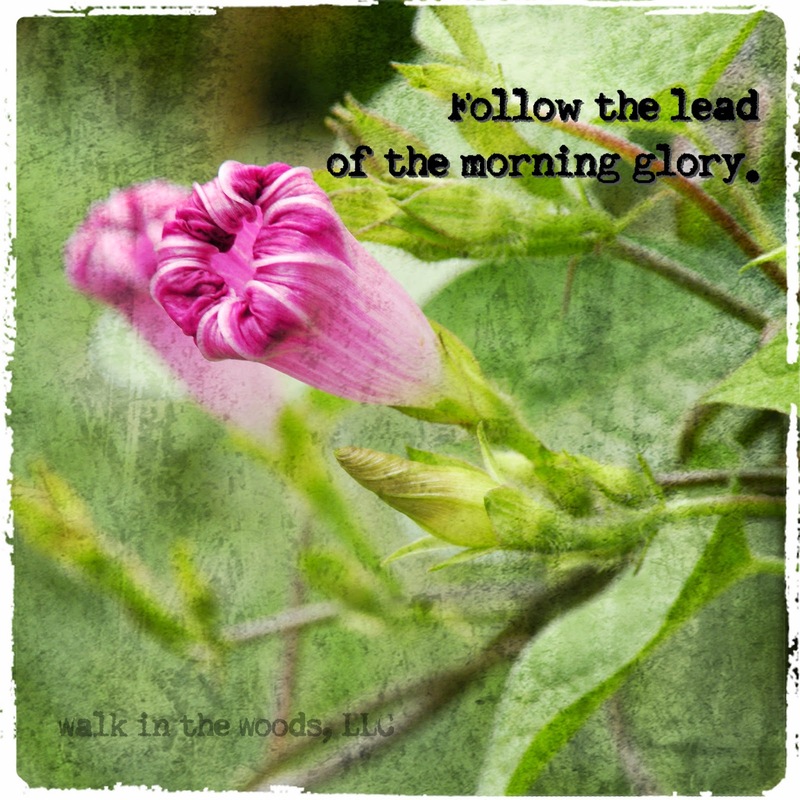 And, of course, when you share your link here be sure to stay true to the Blog Party concept and visit the links of our heARTful posters to thank them for their for their inspiration and their generous heART! I'll be doing my best to visit every link to enjoy the heARTful inspiration that's shared all month! Are you in? Hope so! So a week or two ago I aggravated an old back injury. I took it slow 'n' easy for a day or two, ramped up my lower back exercises and bounced back. Good deal. Yesterday I was working in the garden (as I am most days in this season) and felt a twinge. Anyone who's endured a back injury knows the twinge of which I speak. Am I right? So I took a break, had another cup of oat straw infusion, did some gentle stretches and decided I'd just plant a few more seeds. So I did. I got another rotation of lettuce in, and kohlrabi, and turnip, and beets and then came the twinge-O-rama. It took many deep breaths and a deeper reach into the depths of my Will to get myself upright and moving. I got myself back to the deck and comfortable on a chair and observed my surroundings as my standard query swirled within me, "What are you are manifesting?" In that moment so much information danced around me it was impossible to take it all in. 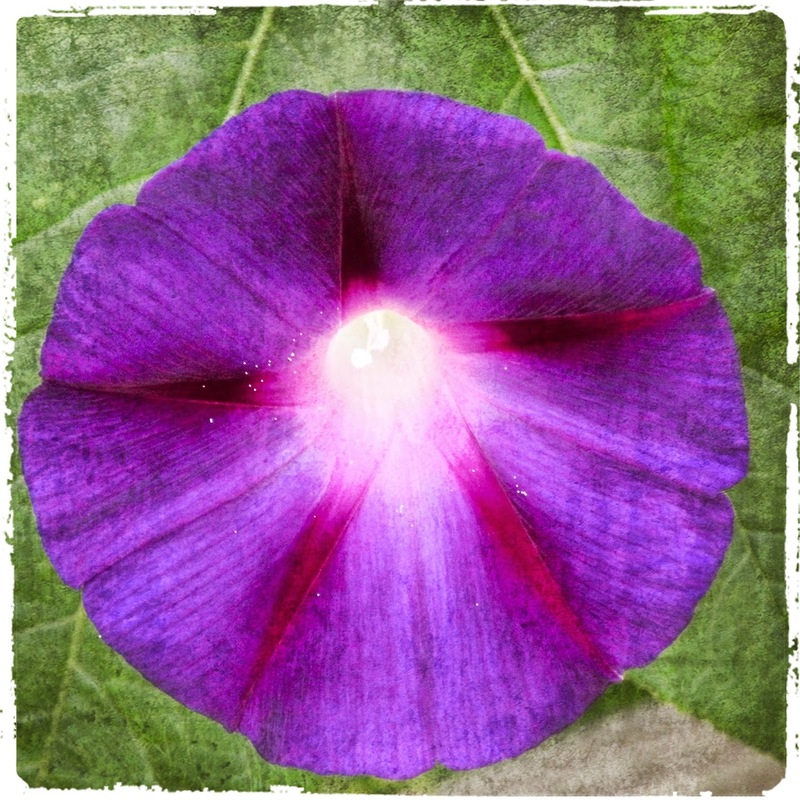 My eyes settled on the morning glories, long curled up for many hours in the late afternoon sunshine. Contrary they are, or so it seems, when one compares them to their contemporaries. But there they were, tugging at my attention, reminding me that my intention was to ramp things down that day (and this coming month), suggesting that I, like them, do my own thing without consideration to the goings-on of the external world. "You promised to slow down, to take care of yourSelf, over a year ago. Have you done that?" they asked? I recognized, in that moment, that I had not. In my passionate desire to get myself back "out there" after (at least) seven years of a loving life-diversion, I jumped back into My Life Desires without taking the break for which I had so, so yearned. After all, it was during those years that my back started acting up. And in addition to forging ahead with my own Desires, I'm still tidying up residuals from those years. I have a lot to sort through. I have a lot to consider. I have plans and priorities to reassess. And what I see now, with distinct clarity, is that I must be willing to curl up in the dazzling Truth of my own Nature, even when the world around me is blooming … even when I feel the tug to bloom along with it. And when I bloom in accordance to my own Natural rhythm I will see, recognize, and honor the inner light that has my best interests at heart and that will best guide me on this journey. And my light will shine, shimmer and dazzle all the more. So today I make time and space for quietly curling up with with the Light of My Own Dreams. With no distractions. And in doing so I shall discover the Medicine I most need. I didn't today. And I'm paying for it. But ... tomorrow I will. 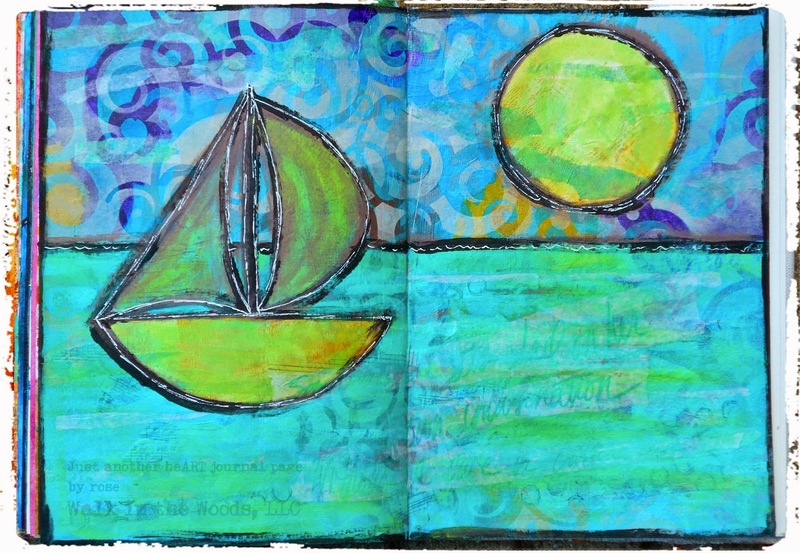 A couple of hours in the studio yielded a heART journal page for Mix It Monthly. It felt Good. But simplicity tends to inspire Good feelings. And clarity. I'll be nurturing more of that in my life. Yes. I. Will. I made other things too, and still am making things, so I better get back to that! 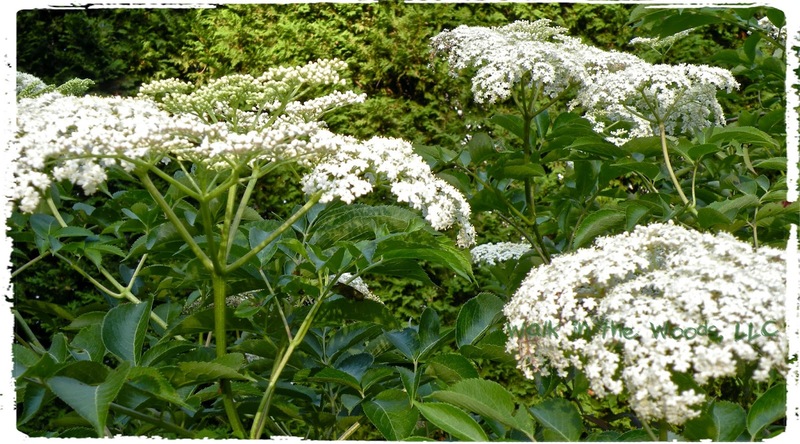 Over the past 10-days or so, I've been harvesting the Elder blooms to make batches of elderflower "champagne." I've never made this before, though I have made other wild fermented beverages. I was inspired to make this soft-drink by Susun Weed's recent video. And I am glad, for this is a delicious, sparkling and loving wild ferment! I've been working with single, one gallon batches, which has afforded me the opportunity to play with added ingredients like this elderflower/black currant variation (pictured). I've made others with additions of hibiscus and rose petals and orange peel. I have over a dozen bottles of various sizes crowding my dining table. We definitely need more shelves in our main living space … I don't dare put these downstairs in the pantry cabinets for fear I forget about them, for they are intended as soft-drinks, to be imbibed not long after their bottling, as they are volatile and could become what brewers call "bottle bombs." Today I'll be creating a batch (or two) that will receive a full second fermentation to be bottled as wine. It's an experiment, one that may or may not yield enjoyable results, but I have a Good feeling about it. To make the wine I'll be adding an organic banana to the simmer as well as organic/fair-trade camilla sinensis (black tea). The banana adds to the mouth-feel and the tea will offer some tannic acid to enhance the dryness that I love in my wines and meads. While I still have elder budding, it is blooming fast . Many blooms are already moving into the phase of berry production. So I don't have much time left to make this happen. And the bees (of every variety) are, like me, acting with a sense of urgency, so negotiating for the blooms poses added challenges! But happen it shall, and I look forward to the months ahead (possibly a year or more) to taste how this wine matures. The magic of the elder is worth preserving. In so many ways. That's what I'm making today. This week's CSA share from Dineberg's Farm delivered, among other things, a lovely cabbage, and I decided to ferment it so it might be enjoyed for weeks (and weeks), as other farm-n-garden goodness come ripe. I created a ginger 'n' pepper kraut, making use of what I had on hand. Now, if you follow me at all, you know that I'm really not a recipe user/follower, and this is most true when it comes to summer fermenting, when I'm using what's fresh out of the garden, from the CSA or the farmers' market, and what I have on hand. … and you can use whatever you have on hand and whatever tickles your taste buds. I sliced the cabbage, shredded carrots and grated the ginger (all organic) and tossed it all into a large stainless bowl. I added salt to the mix "to taste" and massaged the the vegetables to get the salt well blended. At this point I took a coffee break and allowed the mix to begin the water extraction aspect of the process without me. I do this a lot, allowing mama Nature to do her thing without interference from me. It's one of the reasons that so many "permaculture" concepts resonate with me. But that's another story. After my coffee break I nibbled the mix and added a bit more salt, again—to taste, and massaged it in and worked the vegetables to release more of their natural fluids. To this I added some fresh cracked black pepper and hot pepper flakes, not measured, just trusting my intuition. I added it all to a half-gallon jar, handful by handful, pressing down the vegetables and rising up the liquid between each handful. I filled a half-pint jelly jar with water, capped it and used it to weigh down the vegetables below the fluid. I covered it with a linen napkin and secured with a rubber band (to keep "unwanteds" out). This will sit on my kitchen counter for a few/several days and I'll be tasting it daily. Once it reaches the tang that suits me, I'll put it all in cool storage, and enjoy some beautiful, delicious, living food daily, on bread, as a side-dish, in salads, mixed with vegetables, grains, meats … whatever!